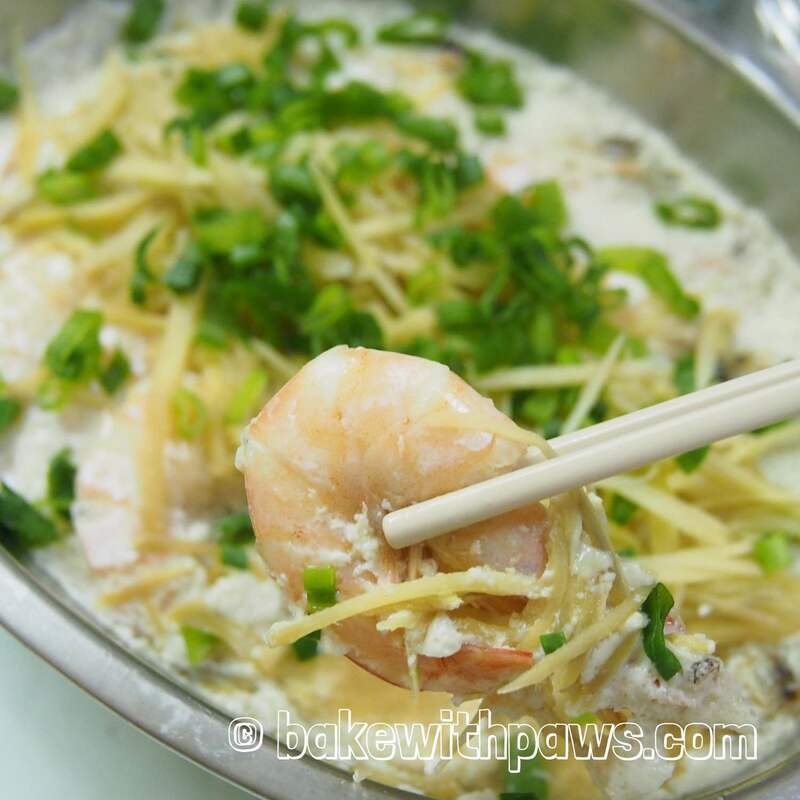 After having steamed prawns last night at a local restaurant, I was inspired to try cooking this dish for our dinner tonight. Luckily we had some prawns in the freezer that were still quite fresh. My family members said it was yummy and the recipe is a keeper. Clean and trim the prawns. Cut a slit on the back with scissor and devein them, leave the shells on. 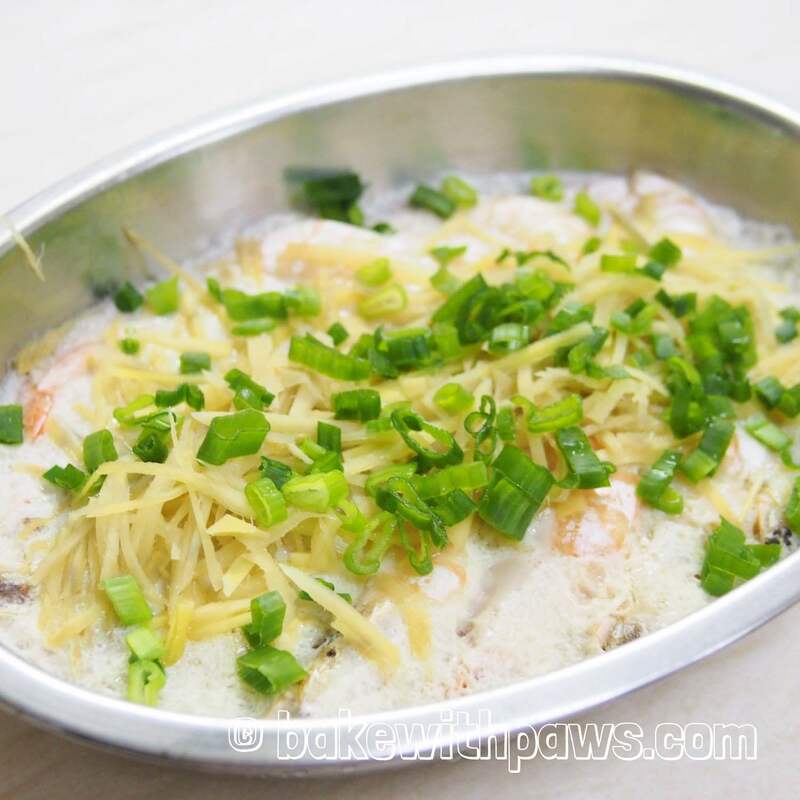 Marinate the prawns with ingredient A and set aside. Combine all the ingredients B and lightly whisk until well combined. Set aside. Arrange the prawns on a steamer plate. Pour the egg white mixture around the prawns. 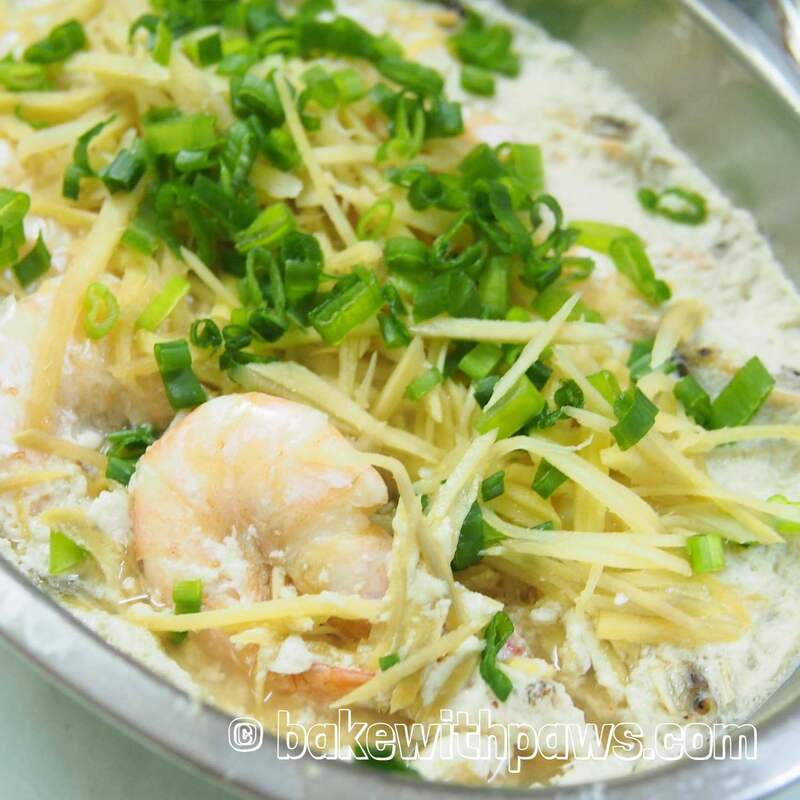 Sprinkle prawns with ginger. Steam on high heat for 7 to 8 minutes. Remove from steamer. Garnish with chopped spring onion and serve while still hot.